Detects the sound of shattering glass up to 25 ft away. Ideal for houses with large/lots of windows. 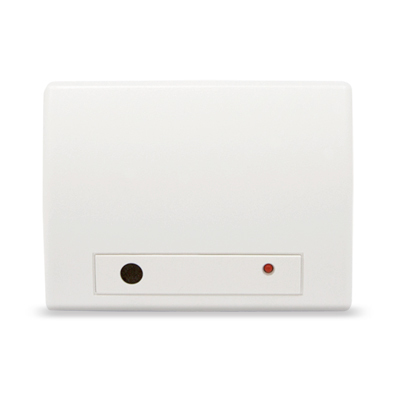 Our Glass Break Sensors are designed to be placed near any large windows or glass doors. They should be placed no further than 25ft from the window you wish to protect. DO NOT install in rooms smaller than 100 square feet. DO NOT install directly on the window. Our Glass Break Sensors are great for protecting multiple windows as long as there is a line of sight between the sensor and the window. A single well-placed Glass Break Sensor can cover multiple rooms depending on your home’s layout. Unsure what’s right for your home? Give us a call and will we advise you on the best placement. Glass Break Sensors SHOULD NOT be used as replacements for motion sensors. They do however make a great duo when paired together, giving you an early warning someone has smashed a window to enter your home.